I had this lens up for sale on Ebay for $100 and it did not sell. Last week I got my new K7 and was trying it out on whatever. One of the whatever’s was hummingbirds. Now do not look right away to see what lens this was in till there is a few guess in as I think a few people will be surprise as I was that it worked so well. I tried hand holding with a 105mm macro and a Pentax 1.7x. telecoverter and got ok results but got much better results using a tripod and this lens. Now I may have to rethink my selling of the lens. This photo may not be great but it is one of my best Hummingbird photo to date. Ok, I'll bite and ask...what is the lens in question? Let me guess. A manual focus 70-210 f4 lens? Could be a version of the Tamron 70-300 "Macro". Mine tends to be soft at 300mm, but surprisingly sharp at shorter focal lengths. What do I win if I guess correctly? I tought I saw an SMC 300F4 the other day, would have been interested if i didn't have one, but I don't see the lateral CA the 300 is known for. : $100 and 300mm lens, a real nice usually does not go together. See my post on what it was. Good Guess. Did you peek. 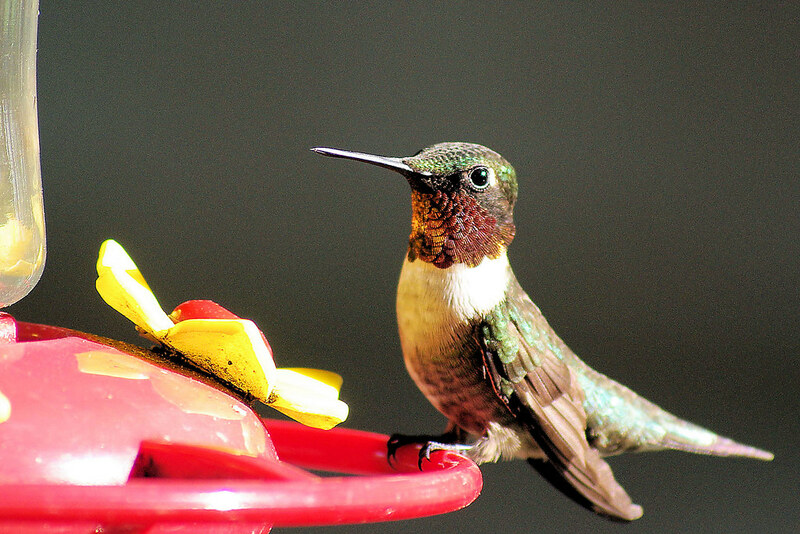 Another humming bird photo? The first beer is on me if we ever meet? Let you buy the lens for a $100 ( that one for now is off the table) ? Take your pick. I was 6 feet or so away with a Pentax 70-210mm. I did not know the would focus that close at the 210mm end. Have had the lens for a free years and was never impressed with it till now. Actually, I didn't. I just guessed based on the price range, and I figured since you compared it to a 105mm + 1.7TC it couldn't be much longer than that. All times are GMT -7. The time now is 12:01 AM. | See also: NikonForums.com, CanonForums.com part of our network of photo forums!